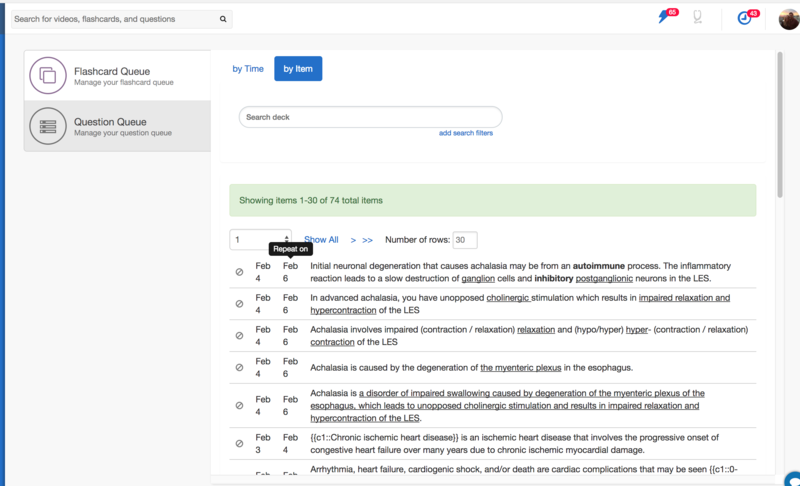 We've updated our Flashcard dashboard to help you visualize what’s going on in your spaced repetition queue. 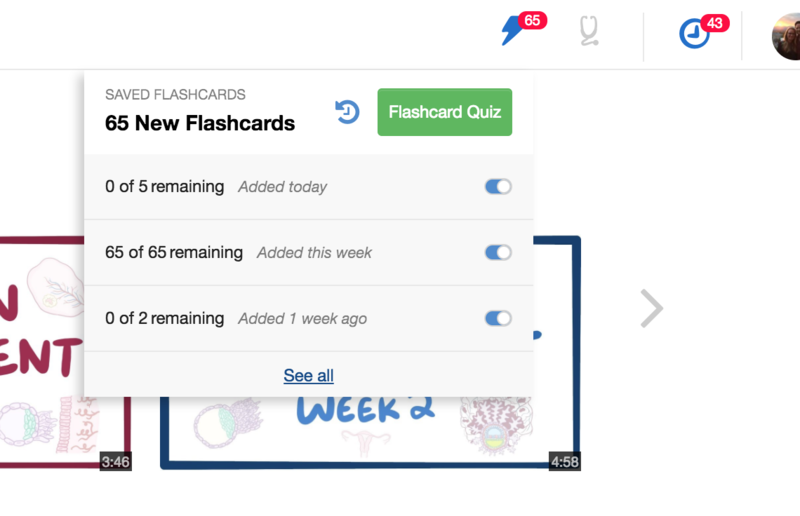 For each flashcard, this dashboard lists when you first consumed a flashcard (and therefore added it to your spaced repetition queue) AND when it's scheduled to return to your Daily Quiz via Spaced Repetition. The 'sample card' below was consumed and added to Spaced Repetition on Jan 31 and is scheduled to return to my Daily Quiz on Feb 3. 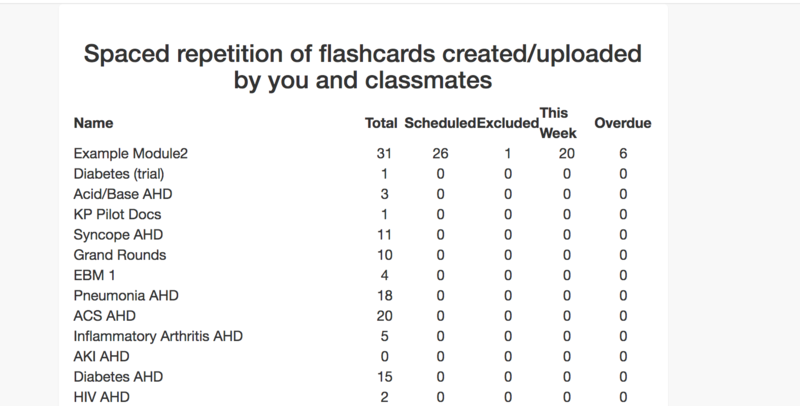 If a deck is not listed here, it has been archived which means the exam date has passed or the custom deck was archived. To re-add a deck to Spaced Rep: If the deck is in a Workspace it needs to be moved to long term repetition. If the deck is in Custom Decks it need to be consumed in a Quiz.